Life on the Edge of Skating: Turning Tables: Ryan Stevens of "Is That a Skate Guard in Your Pocket" Interviews me. 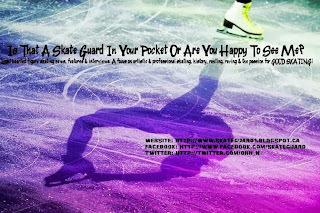 Turning Tables: Ryan Stevens of "Is That a Skate Guard in Your Pocket" Interviews me. I'm not usually the one to be interviewed, unless it is at work where it's my job. But my friend Ryan Stevens asked, and I obliged. Ryan asked if he could do this after he read my last blog about bullying. So, here's to you, Ryan. Thank you for including me!